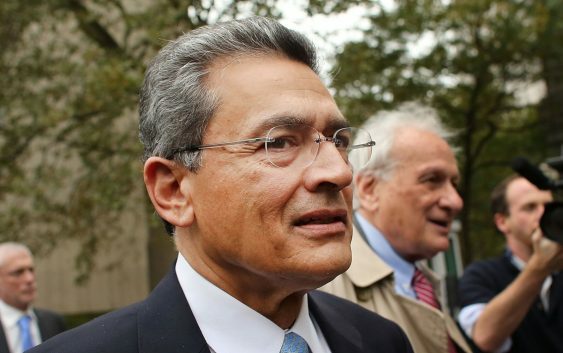 Rajat Gupta, retired head of consulting firm McKinsey & Co. and a former Goldman Sachs board member, was convicted nearly seven years ago of insider trading, and spent 19 months behind bars. Now, in his first interview since his release from prison in 2016, Gupta maintained his innocence, and said he wants to rebuild his life. Gupta told CNBC’s Andrew Ross Sorkin that he is innocent, despite being found guilty by a jury of three counts of securities fraud and one conspiracy charge, and not guilty on two other charges. He said his biggest regrets are speaking too freely about Goldman’s corporate secrets, and not testifying at his trial. “I was going to testify. And in the very end, they wore me down and convinced me I shouldn’t. And to me, it was a personal failure,” he told Sorkin. Gupta was convicted of illegally sharing information about Goldman Sachs to hedge fund manager Raj Rajaratnam, who is serving 11 years in prison for insider trading. The case involving Gupta revolved around the day in 2008 when Warren Buffett agreed to invest in Goldman Sachs. After the board discussed that investment, Gupta was charged with calling Rajaratnam just 16 seconds later and divulging the Buffett news. At the time of his sentencing, Gupta was one of the most prominent figures to face prison in the government’s widespread crackdown on insider trading. 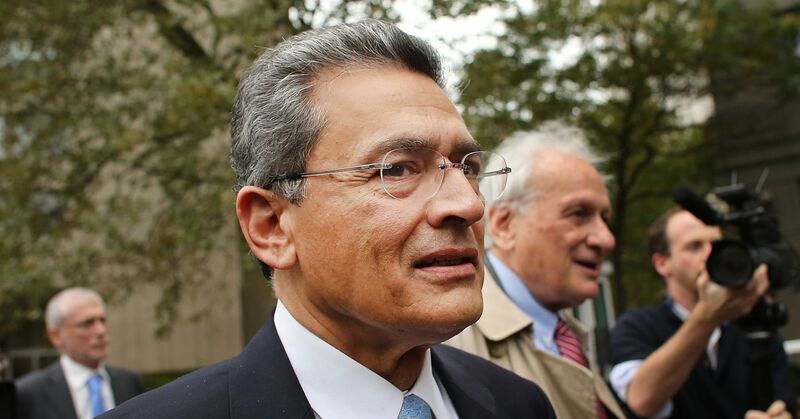 Despite forgiving Rajaratnam, Gupta condemned Preet Bharara, the federal prosecutor who sent him to prison. He maintains that he doesn’t remember speaking to Rajaratnam after the Goldman board meeting, or revealing any Buffett news, and that the prosecution’s narrative about him is false. But Gupta says he wants to move on and rebuild his life. He has been consulting in India and spending time with family, but says that he is not connecting with former friends and business colleagues. “I didn’t want to put them in a difficult position,” he said. Gupta also served as a top advisor to the Bill and Melinda Gates Foundation. He told Sorkin that when he was sentenced, Gates had been supportive and initially refused to accept Gupta’s resignation. In his new book, “Mind Without Fear,” Gupta talks about his career downfall and recalls the moment he learned he was under investigation, to when he was finally released from prison. His biggest piece of advice: “Don’t get too attached to anything — your reputation, your accomplishments or any of it,” Gupta said.